m8kite.com - 100kmh BARRIER BROKEN ! 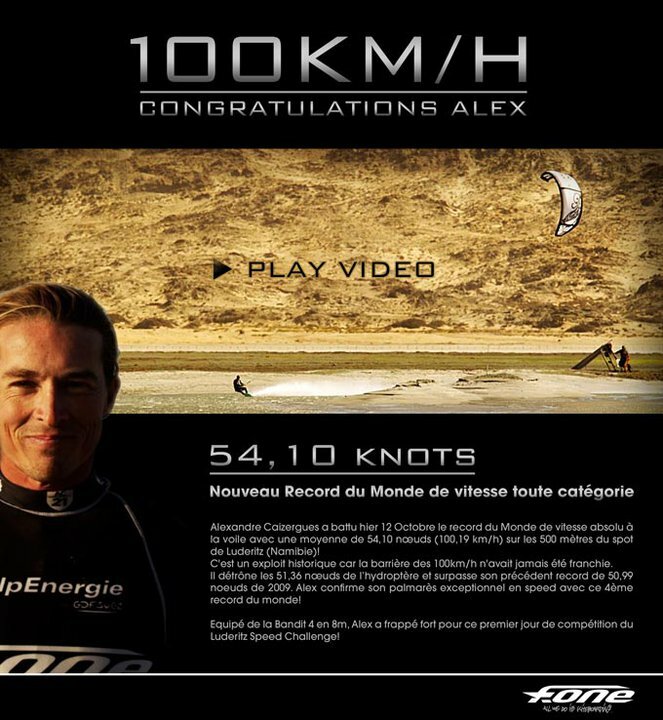 And historically Alex is the 1st ever to go faster than 100kmh on water. This sends shockwaves around the world as sailers and kiters everywhere celebrate this momentous occasion. 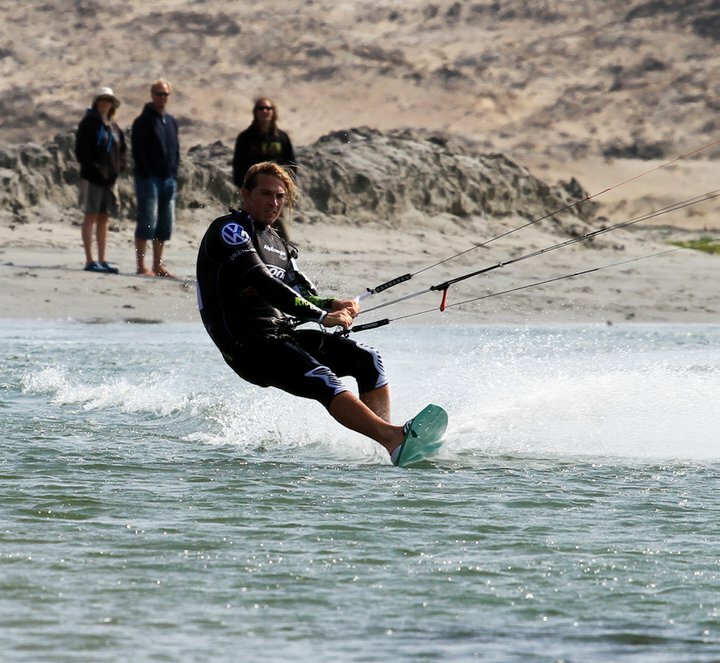 With a rock stock standard Bandit4 kite not a multimillion dollar hydrofoil boat or even custom kite... its just exactly what you can buy off the shelf right here and now from F-one the fastest and ultim8 kite company in the world. F-one Bandit kites have held the kitespeed world record every year since their inception, Fastest every single year, now with the BanditIV 4th edition its stepped up a whole new level, not a fraction of a knot but a massive margin of 3 knots ! Confirming what us mere mortals felt when we flew the Bandit4 from the first moment, not just a little but a lot faster. Power (and speed) to the people. Alex has acheived immortality as the 1st ever to break the daunting 100kmh barrier and he does have a few tricks up his sleeve. His one off board was designed by Raphael Salles, the owner and legend behind F-onekites. 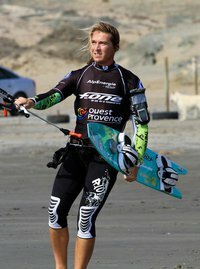 Raphael came from hi level sailboarding to be one of the 1st ever kiters in the world, the 1st ever to produce kiteboards, is himself the current distance kitespeed record holder, still rips in the waves and still has a hand in the design of the F-one kites and boards today. That immense depth of experience and knowledge is part of a massive commitment to develop the ultim8 kite equipment for all disciplines. It resulted in the invention of Delta Cshape the current benchmark in kite design, And famously the ONE kite model for all disciplines. F-one Bandit4. AMPLIFY YOUR EMOTIONS.